Insurance companies can and do delineate where you can get your vehicle repaired under their coverage. The intention of this type of limitation is, ideally, to assure that competent work is done, for a fair price. However, what if your insurance company forced you to have your car repaired by someone who clearly was no expert? For minor issues, you might overlook it. But what if the repairs were to a more critical component, which then failed in a subsequent auto crash? In the case of Texas couple Marcia and Matthew Seebachan, the next step was to take State Farm Auto Insurance to court. Insurance companies like State Farm tend not to operate out of benevolence for their fellow man. These businesses run on the profitability of the margins between the possibility of an individual catastrophe happening and the far greater likelihood of many catastrophes not occurring. From there, insurance companies can effectively improve their profits by providing lesser services than the insured has paid for during the policy period. 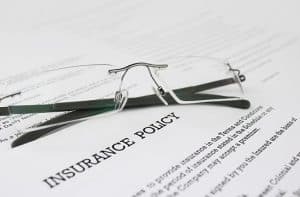 Insurance is also particularly fraught because it so often deals with deeply personal, costly, and painful issues such as auto accidents, healthcare, or property damage. State Farm and other auto insurance companies are not in the auto repair field. They don’t have experience with vehicular safety standards as applied to construction and manufacturing, and particularly not in cases of refurbishing, refitting, or repairs. These decisions should be left to qualified professional mechanics, not dictated by the profit or loss represented to an insurance company. Such instances go beyond merely absurd, and instead become criminally liable cases for the judicial system. Car and truck accidents seem to happen every day: some minor fender-benders and others with more serious consequences. Some of these are simply accidents, but others are the result of negligence on the part of another driver, a mechanic, or in the Seebachans’ case, an insurance company. The experienced Phoenix car accident lawyers at Plattner Verderame, P.C. are here to help you find justice in driving accident cases. For help now, please contact our reliable, knowledgeable trial lawyers by calling 602-783-8793 or filling out our contact form.